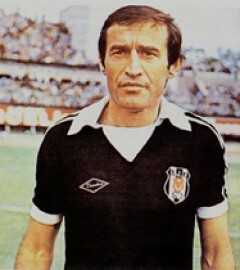 A strong and quick attacking midfielder with excellent finishing skills, he came to Black Eagles from Partizan of Yugoslavia on a two-year deal in 1977. The prolific Paunoviç scored 21 goals in 55 league matches during his two seasons. At the end of his contract, he had to leave Beşiktaş JK due to Turkish Football Federation’s foreign player restriction.